Check out exclusive video testimonials on cars such as the Alfa Romeo Stelvio and Chevrolet Traverse. Alfa Romeo has a reputation for making agile-handling, sporty cars. Although widely acclaimed by anyone who has driven one in the past 60 years, their models have never been big sellers in the United States. Stelvio is Alfa Romeo’s latest hope for increasing sales. It is the company’s entry in the hot crossover category. True to Alfa Romeo lineage, the Stelvio’s handling should be precise, ultra-responsive and smooth. Powered by a 280 horsepower, turbo-charged two-liter engine, the Stelvio claims a 0 to 60 mph time of 5.4 seconds. Although the Stelvio’s competition should be the Audi Q5, BMW X3 and the Mercedes GLC-class, its true competitor is the Porsche Macan. The Stelvio’s Italian-designed wood, aluminum and leather interior is striking. The Ti trim adds all of the entertainment and safety features one would expect. The Sport variant provides the look that befits the vehicle’s sport-tuned look, with accoutrements such as colored brake calipers, aluminum paddle shifters and 20-inch aluminum wheels. The Stelvio Ti Sport is definitely the Italian Stallion of the luxury crossover class. 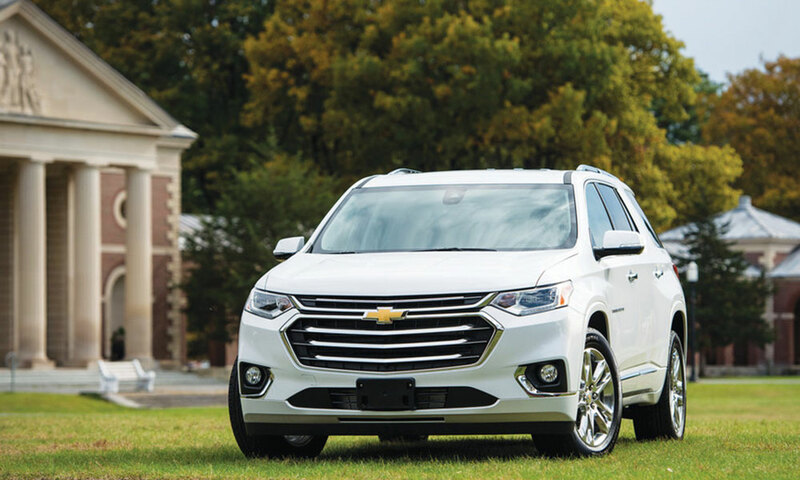 If you are trading in your minivan for a large SUV, look no further than the Chevy Traverse. This huge three-row SUV enables you to haul your team and all of their equipment to the game. Previous models of the Traverse looked minivan-esque. The 2018 Traverse has a more truck-like profile, befitting the vehicle’s full-size SUV capabilities. Despite the huge size, the Traverse provides a comfortable ride and competent handling. For 2018, Chevrolet upgraded interior materials. Safety and convenience features are also upgraded. Like all Chevrolets, the infotainment system is first-class. Chevrolet equipped the Traverse with a new, more efficient V-6 engine and nine-speed automatic transmission. The new vehicle also weighs less. This improves the expected gas mileage over previous models. About the only negative is that the Traverse can only fit into a really big garage. When have you heard anyone call a Cadillac a “good value for the money”? Historically, Cadillacs connote opulence and comfort without regard to cost. However, the XT5, Cadillac’s entry in the hotly contested luxury crossover segment, is priced below almost all of the competition. A few years ago, Cadillac re-engineered its vehicles to lighten their weight, using high-tech materials and modern performance chassis designs. The result is a vehicle that offers, in the words of car reviewers, “nimble handling.” Also enhancing the driving experience are the real-time dampening suspension and electronic traction control. Like traditional Cadillacs, the XT5’s interior is spacious and luxurious. Unlike traditional Cadillacs, the exterior look is modern and chiseled. 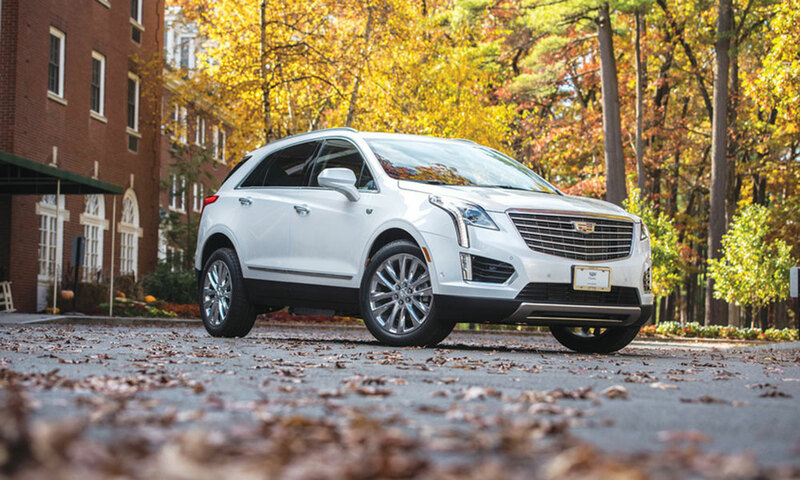 Cadillac’s goal was to compete with the German luxury brands, and the XT5 is up to the task. The Ford F-150 is the best-selling U.S. vehicle of all time and was the best-selling vehicle globally for the first half of 2017. 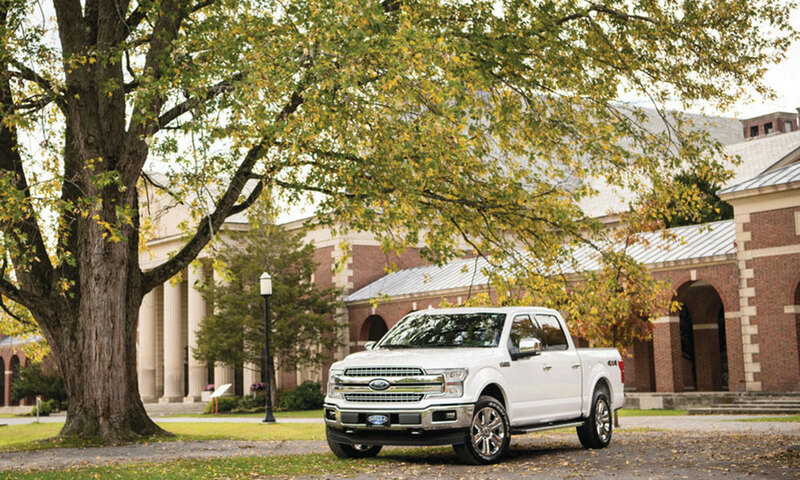 To keep the overwhelming sales lead over not just other pickups, but over all vehicles, Ford continues to upgrade and improve. The base engine is new. It is smaller but delivers more power. The more powerful EcoBoost engines are also available. There is a new 10-speed automatic transmission with a start/stop feature that improves gas mileage. Furthermore, the best-in-class towing capacity is now increased. One can design his or her F-150 to be a true work vehicle or the ultimate luxury boat/RV towing machine. At the luxury end, every known convenience, luxury, safety and entertainment feature is available. The F-150 can even be equipped to be a sporty, off-road vehicle. There are plenty of reasons to suggest that the best-selling status is secure. The Mitsubishi Outlander PHEV is the first plug-in hybrid crossover for sale in the U.S. It is the only plug-in hybrid with DC fast-charging capability. With a level 3 DC fast charger, it reaches 80 percent in 25 minutes. With a level 2 charger (240 volts), the battery will be fully charged in under 4 hours. A level 1 charger (110 volts) will fully charge in under 8 hours. The Outlander PHEV has three primary drive modes. EV Drive uses only the electric motors. Series Hybrid mode uses the gas engine as a generator for the electric motors and to provide additional power. Parallel Hybrid mode primarily uses the gas engine, with the electric motors providing support. 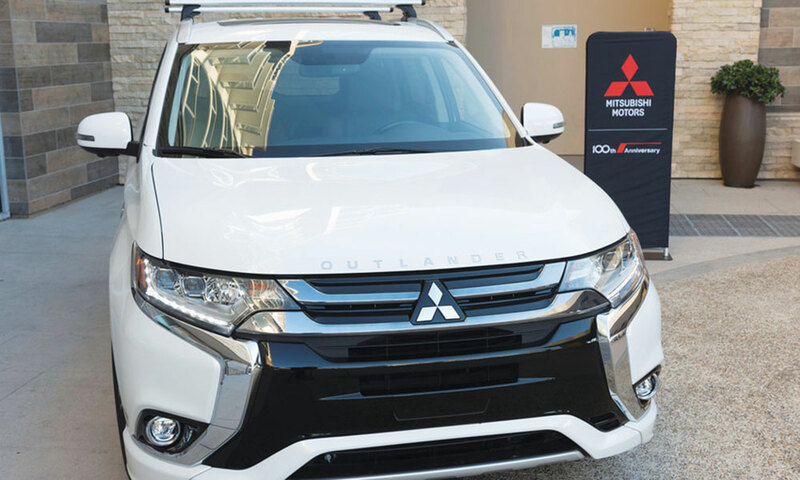 The Outlander is a crossover and has all of the usual crossover features: active safety features, a modern infotainment system and a host of convenience features. Four-wheel drive is standard. Anyone lusting for a Porsche 911 but saddled with a compact vehicle budget now has a choice. Honda is finally making the Civic Type R available in the U.S. There is competition: the Subaru WRX STI and the Ford Focus RS, for example. But the Civic Type R costs thousands less. And like the Porsche 911, it is amazingly easy to drive, according to reviewers. One of the reasons for the vehicle’s drivability is the dual-axis strut front suspension. It eliminates torque steer, an annoying issue with many high-performance compact cars. The firm suspension provides cornering limits that rival six-figure super cars. Yet the ride is comfortable enough for daily commuting. 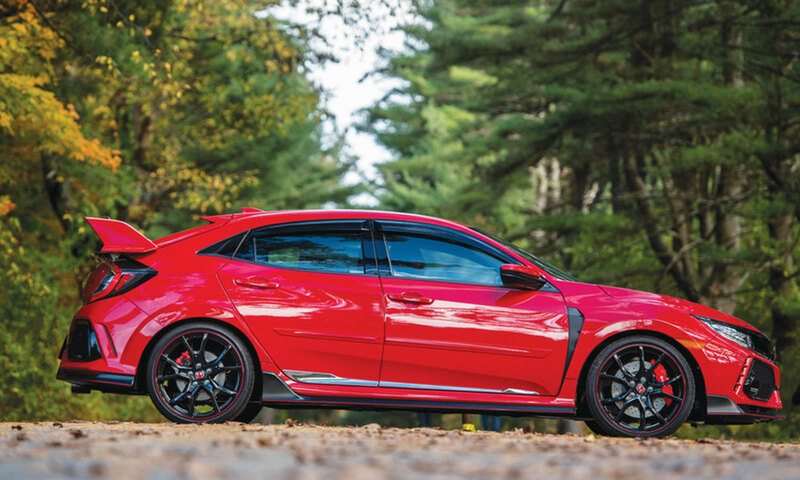 The 306 horsepower, turbo-charged two-liter engine makes the Type R the quickest front-wheel drive car that Car and Driver magazine ever tested, a standing quarter-mile time of 13.5 seconds. The engine is mated with Honda’s incredibly smooth shifting six-speed manual transmission. The car is still a Civic, so one can expect all of the features and practicality of your everyday Civic Sport. If there were a negative, it would be that Honda keeps the exhaust note at a level too low for a car this hot. The Q50 Sport represents Infiniti’s philosophy of offering value in the luxury sports sedan category. The Q50 is also Infiniti’s best-selling vehicle. So, changes for the 2018 model means tweaking the looks of a very good-looking car and refining the overall driving experience. With the Q50’s Direct Adaptive Steering system, now in its second generation, one can fine-tune the suspension settings, steering shift points and throttle response to one’s personal preference or road conditions. It also eliminates road vibrations and jerking of the steering wheel. Additionally, the paddle shifters are now on the steering wheel, a more convenient location. The Q50’s InTouch infotainment system is upgraded with additional apps. The Sport model comes with 19-inch wheels and comfortable, yet supportive, sports seats. And it has all of the latest safety features. 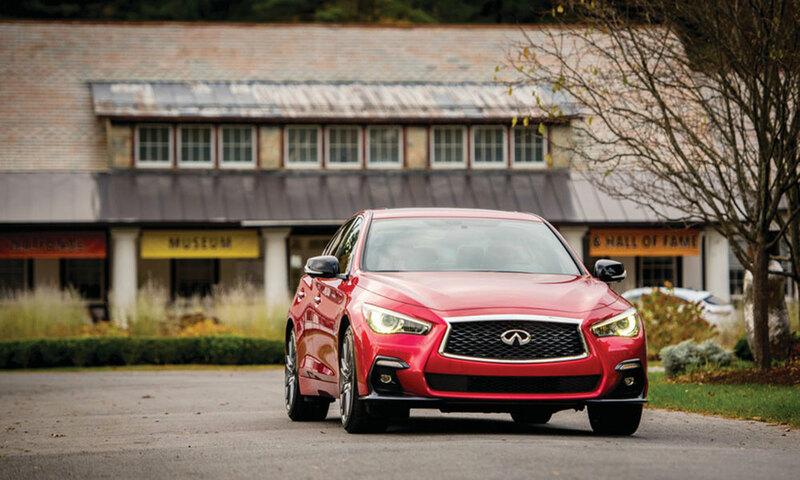 The best description for the Q50 is coddled performance. 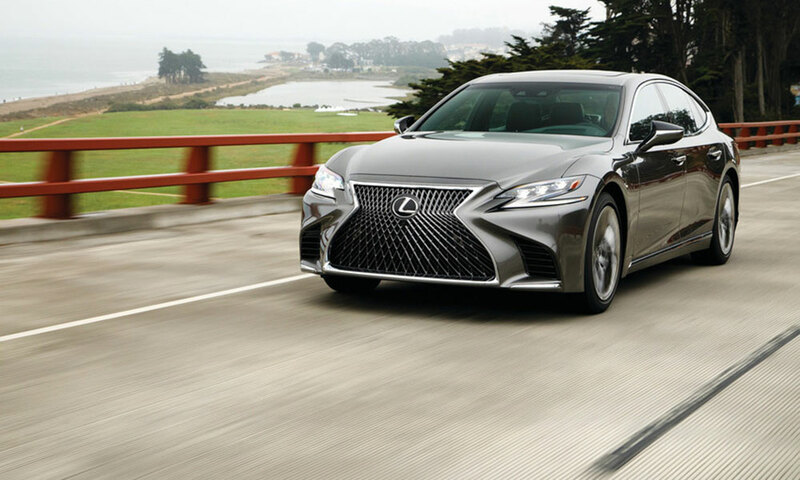 The 2018 Lexus LS is completely redesigned. The LS is Lexus’ legacy entry in the big four-door luxury sedan category exemplified by the Mercedes S-Class. And for 2018, Lexus placed extra emphasis on luxury. An example is the seating. Lexus’ design goal was to create the impression that one is sitting on a big comfy easy chair. And yes, massaging seats are also available. The quality of the leather that surrounds the interior and is used on the seating is impeccable. Lexus goes one step further with luxurious accent stitching surrounding the gauges on the dash. Adding to the sensation of being pampered, Lexus has an entry mode that adjusts the vehicle’s height to make ingress/egress as easy and effortless as possible. The 440-horsepower engine supplies plenty of power, and a new 10-speed automatic transmission enables silky smooth driving. The infotainment system and safety features are what can be expected in a car of this class. The LS also has the most back-seat leg room for a vehicle in the category. New for mid-2018 is a hybrid version of the LS. Maserati began as a builder of grand touring cars that would please a driver with race- car pretensions. 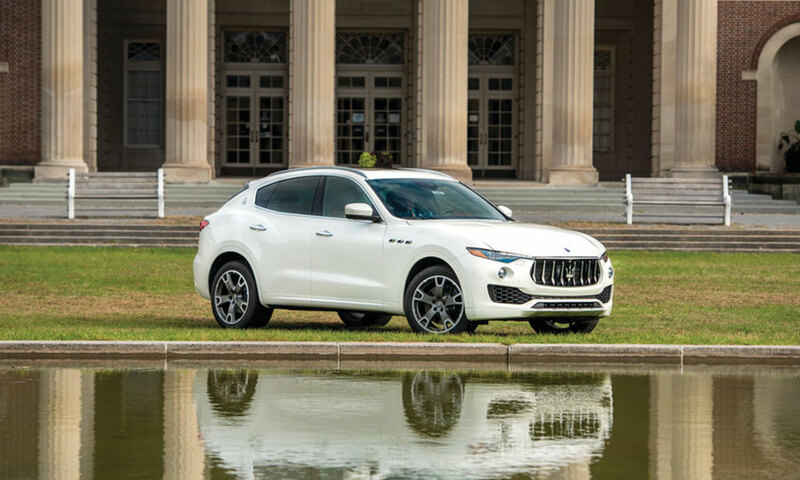 The Levante is Maserati’s grand touring SUV, with an emphasis on grand and performance. In price, performance and size, the Levante’s chief competitor is the Porsche Cayenne. Whereas the Cayenne’s appearance speaks of functionality, the Levante shouts Italian elegance and drama. The leather seats, dash and doors are trimmed with silk stitching. The door handles and shifter are sculpted with brushed aluminum. The interior’s wood looks hand-waxed. Although the Levante is a large SUV, the exterior impression is that of a sports coupe. The Levante comes with self-leveling computer-controlled air springs that offer up to 3.4 inches of height adjustment and stiffness settings to suit any road condition. A twin-turbo V-6 engine can pull the nearly 5,000-pound SUV over a quarter mile in a sports-car-like 13.6 seconds. Of course, Maserati equips the Levante with every known safety, convenience and entertainment feature. Looking for a compact crossover SUV that’s perfect for hauling around your ever-growing family? 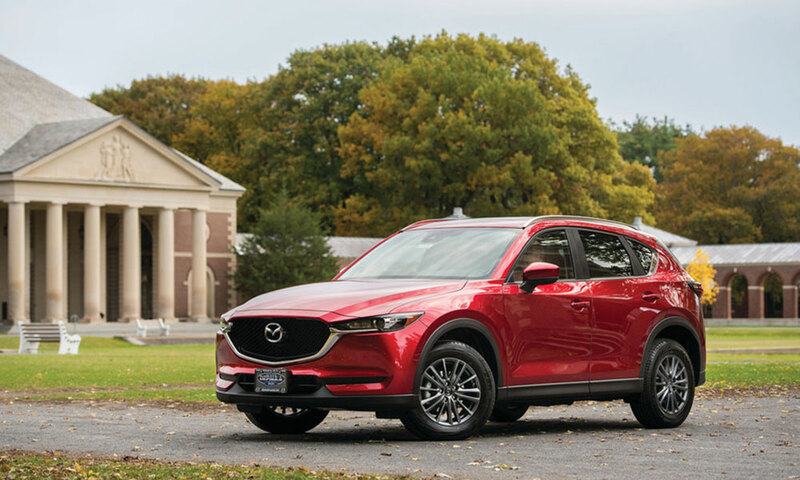 After leaving the Ford family of companies, Mazda decided to differentiate itself by making all of their vehicles fun to drive. 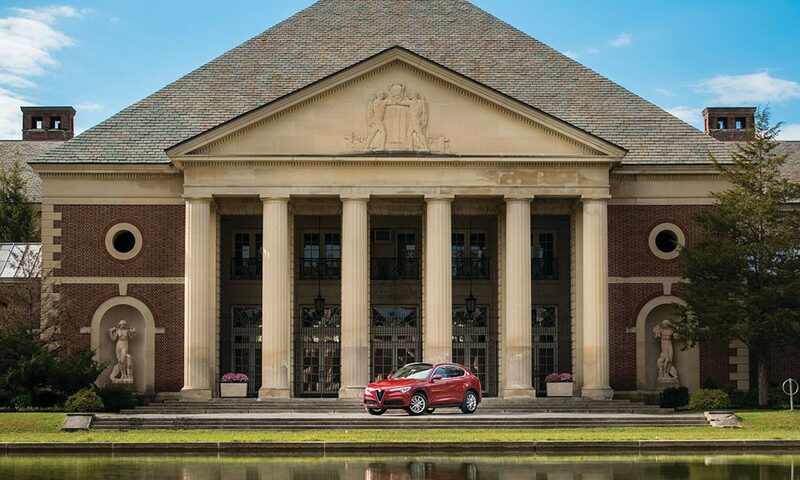 The Mazda CX-5 is as close to sporty as an SUV can get. Armed with a number of top-of-the-line safety features, including iActivSense technology, which comes standard on Touring models and is available in Sport packages, the CX-5 will keep your family safe on the road. The CX-5 has also earned the IIHS “Top Safety Pick” or “Top Safety Pick+” designations for the fifth-consecutive year in 2017, so it’s clear that the model is at the top of its game. Besides being one of the safest SUVs on the road, the CX-5 comes packed with standard features, such as cloth upholstery; LED headlights; and an infotainment console, with seven-inch screen and Bluetooth audio streaming and phone pairing. And each CX-5 comes equipped with cylinder-deactivation technology, a feature unique to Mazda’s four-cylinder SUVs, that greatly improves fuel economy. Need we say more? The Nissan Rogue is easily the best-looking non-luxury crossover on the market. It is also the only one in category that offers optional third-row seating. 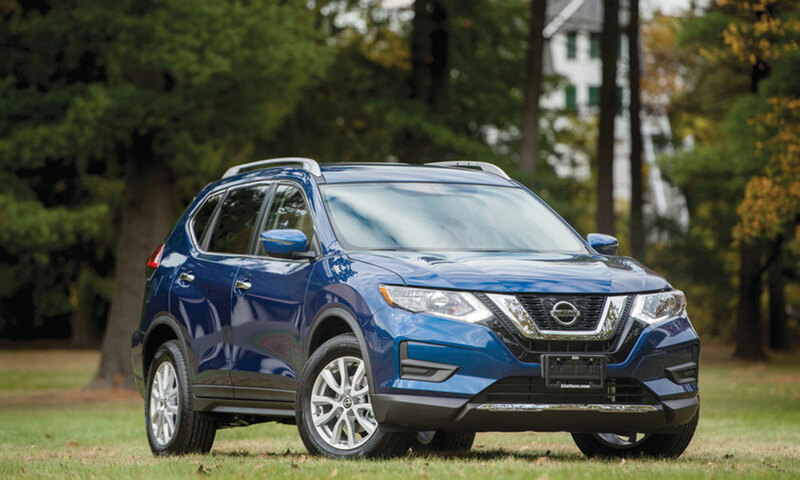 The Rogue is Nissan’s best-selling vehicle, but the numbers pale in comparison with the chief competitors in this hotly contested category. Nissan differentiates the Rogue with a unique style and offering unique options, such as the third-row seats. Nissan also offers a hybrid version of the Rogue. The 2018 Rogues are available with ProPilot Assist. Although drivers must still keep their hands on the steering wheel, ProPilot Assist is a taste of the future’s autonomous driving. The ProPilot Assist combines lane-keeping assist with stop-and-go adaptive cruise control to assist with acceleration, braking and steering on the highway. The new Rogue also provides upgraded entertainment and convenience features. But the Rogue is still best known for good looks, a roomy interior and a comfy ride. And it is available for a competitive price. GMC is General Motors’ professional-grade brand. The Terrain is the professional-grade version of the Chevrolet Equinox, and it certainly looks the part. 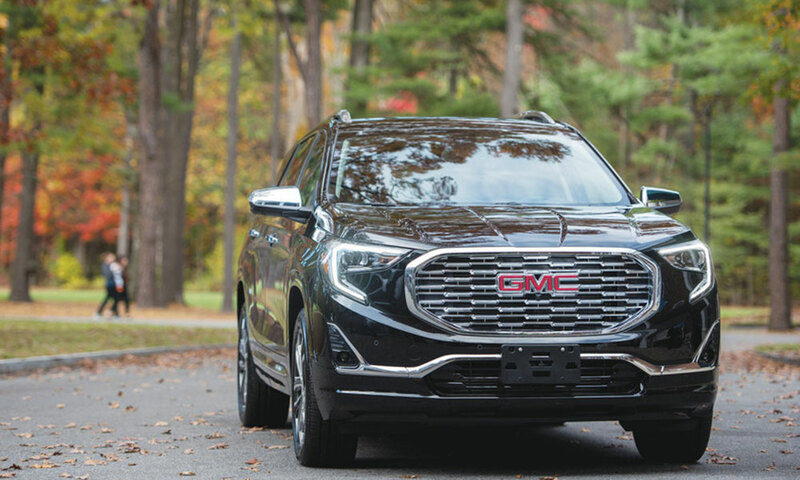 Although its size is that of a compact crossover, the Terrain’s appearance is more like a larger, aggressive full-size SUV. The interior is very well appointed with leather-heated seats with accent stitching, leather-wrapped steering wheel, burnished aluminum trim, and the latest infotainment system. The seats are supportive and very comfortable. This aligns with the vehicle’s firm, yet comfortable, ride. Moreover, the cabin is the quietest in the vehicle’s category. New to the Terrain is the electronic precision shifter. It is a push-button shifter that is radically different from the lever and paddle shifters of other vehicles. However, it is so user-friendly that it only takes a drive around the block to be completely comfortable. The shifter also frees up much console space, thus creating a roomier cabin. With the 252 hp turbocharged engine and a 400-pound savings in weight over previous Terrains, the vehicle is a pleasure to drive. One could say the Terrain Denali is the professional’s professional. Are you conflicted between family-guy practicality and single-guy performance when buying a new luxury car? 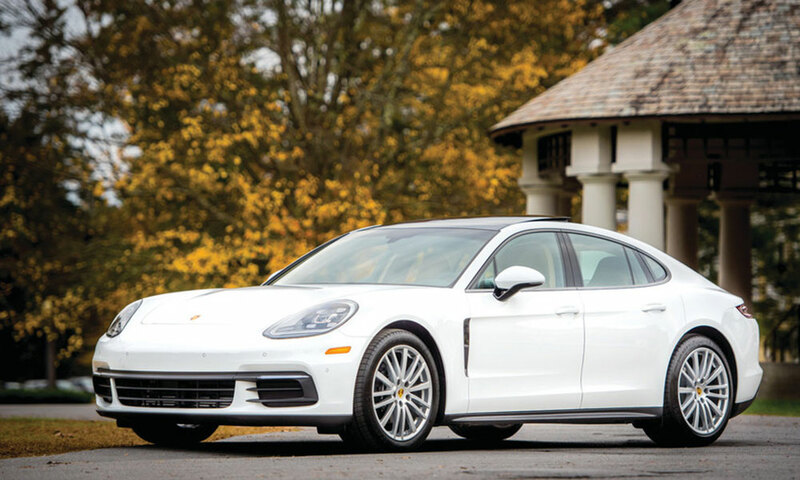 The Porsche Panamera may be your solution. It’s a four-door vehicle similar in size to the Mercedes S-type or a BMW 7 Series. From the rear, the Panamera has the look of Porsche sports cars. But this is not a stretched 911. It is a comfortable, smooth-riding sedan. It is also a Porsche, so expect sporty handling that surpasses all competitors. The vehicle’s acceleration and top speed will also remind the driver that the Panamera is also a Porsche. The Panamera offers every comfort, safety, entertainment and luxury feature expected in a car with this price tag. As expected, Porsche’s design places ergonomic efficiency for the driver above the passengers.